This week I’d like to wrap up our four-part miniseries on the Christus Victory paradigm of understanding the purpose of Jesus’ life, death, and resurrection. This has been an amazing journey for many of you. I can tell from the numerous paradigm shifts that have been expressed in the multitude of emails that have come in to the ministry over the last few weeks. I’m so happy for you. Truly, God is beautiful if we can only see Him as He really is. This week, I want end by focusing on the Crucifixion narrative itself, especially the last three hours Jesus spent on the cross. We must remember that he was there for six hours. Most of what we know happened during the first three hours. When it comes to the last three hours, the Scriptures are strangely silent. I have a hypothesis about this, but it is far from being conclusive. I believe Jesus’ suffering on the cross had two dimensions; one was largely physical while the other was deeply psychological and emotional. It seems to me that during the first three hours on the cross, there was a concentration on the physical dimensions of His suffering. The disciples perceived and passed down to us what humanity was doing to Jesus on a physical level. But in the last three hours, something much more dark and sinister took place. This was suffering the disciples were not privy to because it took place in a realm beyond what they could perceive by merely observing externals. The only thing we know about these last three hours is that a haunting darkness enveloped Christ during that time. Then in the climax of this darkness, Christ cried out, “My God, my God, why have you forsaken me?” He then whispered, “It is finished. Father, into your hands, I commit my spirit.” And then He died. What are these last three sentences spoken by Jesus whispering to us? For me, this is the greatest and most meaningful revelation of the Christus Victor paradigm. From noon until three in the afternoon, darkness came over all the land (Matthew 27.45). It was now about noon, and darkness came over the whole land until three in the afternoon (Luke 23.44). The light shone in the darkness, and the darkness did not overcome it (John 1.5). When the devil had finished every test, he departed from Him until an opportune time (Luke 4.13). “I will not say much more to you, for the prince of this world is coming. He has no hold over me . . .” (John 14.30). “When a strong man, armed to the teeth, stands guard in his front yard, his property is safe and sound. But what if a stronger man comes along with superior weapons? Then he’s beaten at his own game, the arsenal that gave him such confidence hauled off, and his precious possessions plundered” (Luke 11.21,22, The Message). “. . . now the prince of this world will be driven out” (John 12.31). There [Calvary] he disarmed the cosmic powers and authorities and made a public spectacle of them, triumphing over them by the cross (Colossians 2.15). This is what I believe these final three hours on the cross were all about. For three hours, Satan wrung the heart of Jesus with feelings of the Father’s disapproval, anger and abandonment. I want to be clear. I do not believe the Father Himself abandoned Jesus during these three hours for one moment. I do not believe the Father hid His face from His Son. But the Father’s reconciling face was hidden. I do believe the Father permitted this to be done, but this was done by the Enemy. The feelings of the Father’s disapproval, anger and abandonment were not the result of the Father’s activity, but that of the Enemy. Imagine with me the amazement the angels felt as they witnessed the Savior’s struggle with the Enemy. Satan in these hours had only one goal: to break the will of Jesus at any cost. But why? Satan hoped he could force Jesus into a psychological corner where Jesus would choose to abandon you and me to him (our Accuser) in order to save Himself. In that thick darkness, the Accuser hid the Father’s presence from Jesus. And in that dreadful hour, Christ was made to feel as though He were completely alone without the comfort of knowing the Father was with Him. But it was to get even worse than this. In this darkness, the agony and horror of His Father’s apparent abandonment, inflicted by the Enemy, wrung the heart of Jesus. No human eye could pierce the darkness that surrounded the cross, and none could penetrate the gloom that enshrouded the suffering soul of Christ. The angry lightning seemed to be hurled at Him as He hung upon the cross. Then “Jesus cried with a loud voice, saying, ‘Eloi, Eloi, lama sabachthani?’ or ‘My God, My God, why hast Thou forsaken Me?’” (Matthew 27.46). Jesus’ cry of abandonment is a direct quotation from Psalms 22 where the author of that Psalm himself also wrestles through feelings about the complete abandonment of God. As the outer gloom settled about the Savior, many voices exclaimed, “The vengeance of heaven is upon Him. The bolts of God’s wrath are hurled at Him because He claimed to be the Son of God” (cf. Matthew 27.43). He trusts in God; let God deliver him now, if he wants to; for He said, ‘I am God’s Son.’”) Many who believed in Him heard His despairing cry. Hope left them. If God had forsaken Jesus, in what could His followers trust? Jesus heard all these words and their cruelty did it’s work. The Father was there all along. However, Jesus had to face the Accuser alone. The Accuser must be given a chance to prove his accusations against God and us. The Father had to allow the Accuser to have his way with Jesus. And although the Father longed to break through with the assurance of His presence, acceptance, and love, Satan had to be permitted to pierce the soul of Jesus with feelings that the exact opposite was occurring. Again, why was it necessary that this be allowed to happen? The Accuser must be allowed to lead Jesus to a psychological and emotional place where Jesus would, according to the Accuser, choose to abandon us (to be the possession of our Accuser and with him, meet his fate) in order to save Himself(to escape an eternal death and separation from His Father.) The Accuser worked with all his might to break the will of Jesus and force Him to release His hold on us. Over and over the words had been repeated to Jesus through human voices that day; “Save Yourself!” (Matthew 27.40) Would the Accuser be proven right? If God is put into a corner, would He choose Himself over us? Selflessness is the very attribute the Accuser hates. He denies its very existence, both in God and in us. His claim from the beginning has always been that other-centeredness does not exist. And this was his chance to prove it! “. . I am reckoned among those who go down to the pit; I have become like a man without strength, forsaken among the dead, like the slain who lie in the grave, whom You remember no more, and they are cut off from Your hand . . .” (Psalms 88.4-5). The Enemy made sure that the Savior could not see through the portals of the tomb. The Enemy made sure that hope was not present for Jesus to foresee His coming forth from the grave a conqueror. The Enemy enveloped Jesus both physically and psychologically so that nothing would be permitted to tell Him of the Father’s acceptance. The Accuser made Jesus fear that sin was so offensive to a holy God that if He chose to stand in solidarity with us, Jesus would be “separated” from His Father forever. And although this was a lie, the Accuser must be allowed to make Jesus feel this separation would be eternal. “So be it. 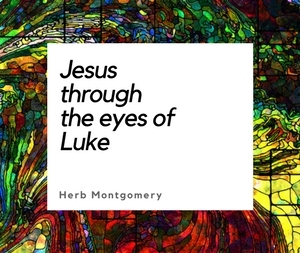 If it is to cost Me everything, even never seeing my Father’s reconciling face again, saying goodbye to life forever, even if I don’t come through the portal of the tomb in three days, even if it is to cost me my own eternal existence, I will not abandon you, Herb, to the Enemy. Even though on this day you have rejected me, I will NEVER reject you. I will never abandon YOU to him. You do not know what you are doing. And even if it costs me everything, I will not let go of my hold on you. You, Herb, could never quench what is in my heart for you (Song of Sol. 8.6,7). I love you, Herb; even with that very hammer in your hand, you matter more to me than that hammer in your hand. You cannot quench what is in my heart for you. Even if Heaven and Earth shall pass away, even Heaven itself is not a place that I desire to be if it requires abandoning you to your Accuser, leaving you to him. If I am faced with the decision of abandoning you to eternal ruin in order to save myself or saving myself by letting go of you, my decision is cast. It is done. It is finished. I will not, at any cost to myself, abandon you. If the enemy wants me, fine, let Him have ME, but I will not let Him have YOU!” And He bowed His head, for me, and died. I have never, in all my years, seen such utter and complete self abandonment for me as I see revealed by this man on a Roman Cross. And if this man, hanging there is God? (John 14.9) I am left without words. Take heaven and hell away from me, these are motives far too small. Give me just one life to live, and, based on the beauty of His love for me that I see in Him hanging there, I would spend that life, with every waking moment, endlessly endeavoring to love Him back with the same reckless abandon that He so beautifully loved me. We must remember that God did not die to spend eternity with you and me. He died to free us from the Enemy so that we could have eternity instead of Him. He bowed His head and died in the most extravagant, radical, other-centered, self-sacrificing act in all of universal history. God became us and did not see Himself as having greater importance than ourselves. And through this selfless act, He utterly and completely defeated the Enemy. The Enemy’s claims were undone. God received acquittal from the Accuser’s charges, and we were also acquitted of the Accuser’s charges (Romans 5.18, REB). The Enemy was disarmed and became a public spectacle in both facets of His work that we have entertained in this miniseries. (Colossians 2.15). Three days later, defeating even death itself, Christ was raised, incorruptible (Hebrews 2.14). The Devil’s power broken. The Kingdoms of this world were now the Kingdom of our God. And although the coronation was still yet future, Christ was raised, forever victorious. He is, to me, forever Christus Victor! I love you, Jesus! Thank you, thank you, thank you for how You selflessly love me. Whoever you are reading this right now, whatever you are or whatever you have done, you could not possibly be more loved than you are at this very moment. He loves you will everything He has. You have been ransomed my dear friend! You have been REDEEMED! Let your excuses for not believing be crucified. Choose, right now, to live in the radical, other-centered, self-sacrificial love that dwells in God’s heart for you. Surrender to it, and surrender also to being a conduit of that love for others around you, and go build the Kingdom! Long live Christ the Victorious! He is my Savior, my Redeemer, my God, the Lover of my soul, forever, my . . . Friend.